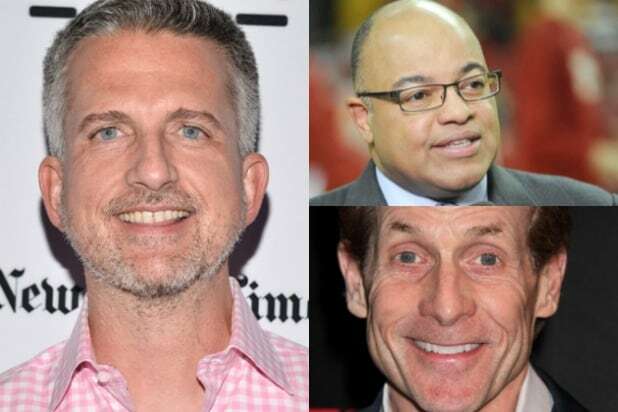 Bill Simmons’ new show certainly got off to an explosive start Wednesday night thanks to a rant by Ben Affleck that had some fans speculating about whether he is drinking again. Affleck, who previously went to rehab for alcohol, joined the Boston Sports Guy on the premiere episode of HBO’s “Any Given Wednesday” to talk about the New England Patriots and Deflategate. Affleck’s reps did not respond to a request for comment Tuesday. “Deflategate is the ultimate bulls–t, f–king outrage of sports ever … it’s so f–king stupid,” Affleck raged on the show. Many on Twitter speculated the “Batman” actor was inebriated. Some people offered jokes, and others concern. “Whether you like Ben Affleck or not, the guy’s been waging a war against alcohol for years. Today, he’s losing. It’s NOT funny. It’s tragic,” tweeted television writer Jose Molina. I moved to Hollywood to get away from drunken Boston people slurring and screaming about sports. Ben Affleck is ruining it for me. After Superman vs Batman, who can blame Ben Affleck for still being drunk. Why is Ben Affleck having such a hard time talking? Is Ben Affleck drunk and botoxed on #AnyGivenWednesday? Drunk Ben Affleck on the Bill Simmons show, dropping F-bombs & crying about everyone being mean to Tom Brady. Whoa this Ben Affleck interview on #AnyGivenWednesday. A true barstool rant–sad, riveting, and kind of concerning. My memories of the first #AnyGivenWednesday: Wondering if Ben Affleck was coked up, and Charles Barkley's upper lip sweat. Affleck’s flood of profanities even appeared to leave Simmons speechless at times.